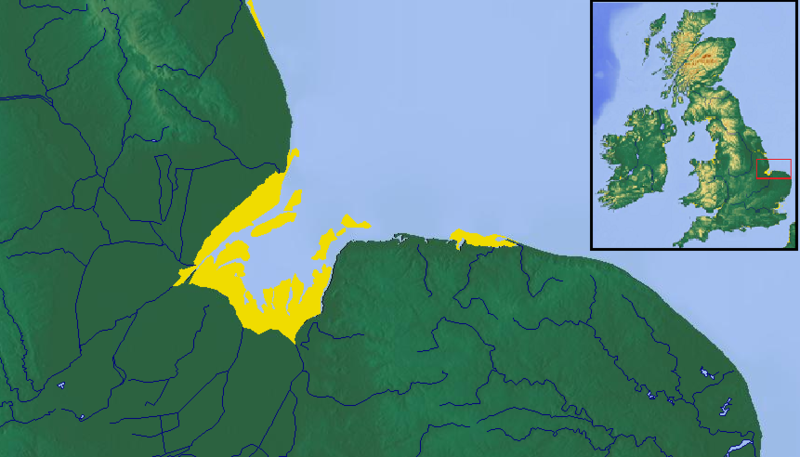 The Wash is the square-mouthed bay and estuary at the north-west corner of East Anglia on the East coast of England, where Norfolk meets Lincolnshire. It is among the largest estuaries in the United Kingdom. The Wash is fed by the rivers Witham, Welland, Nene and Great Ouse. The Wash is a Special Protection Area (SPA) under European Union legislation. It is made up of very extensive salt marshes, major intertidal banks of sand and mud, shallow waters and deep channels. The seawall at Freiston has been breached in three places to increase the saltmarsh area, to provide an extra habitat for birds, particularly waders, and also as a natural flood prevention measure. The extensive creeks in the salt marsh, and the vegetation that grows there, helps dissipate wave energy thus improving the protection afforded to land behind the saltmarsh. This last aspect is an example of the recently developing exploration of the possibilities of sustainable coastal management by adopting soft engineering techniques. The same scheme includes new brackish lagoon habitat. The Wash is the UK’s most important estuary for wildlife. The coastline has some of the best saltmarsh and mudflats in the country supporting thousands of wildfowl and waders on their migration. A range of organised visits into, and around, The Wash are on offer to visitors.